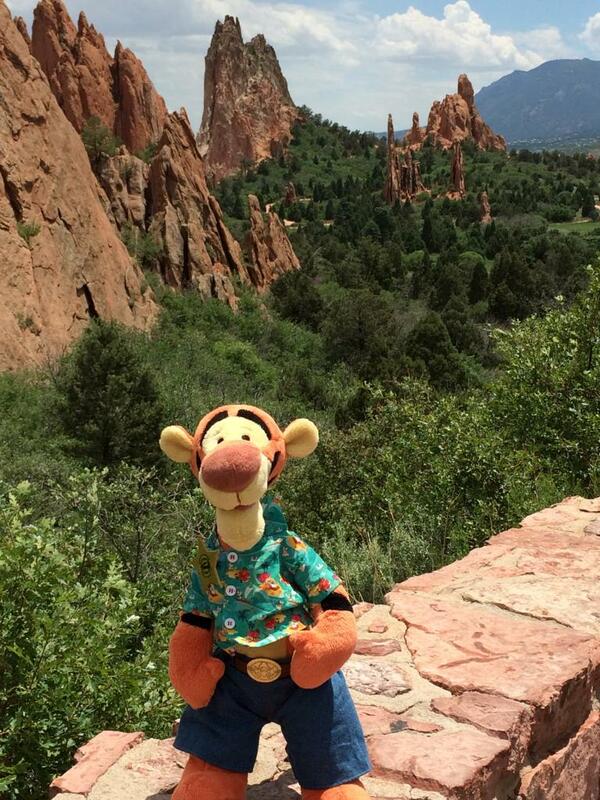 Garden of the Gods in Colorado Springs: Tigger basques in the beauty of this appropriately named place! Tigger Travels - Family Adventure Journal Photos From Tigger`s Travels and MORE! Close up detail of some of the freestanding rocks. 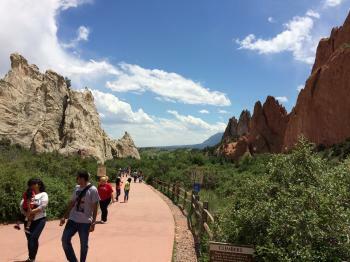 While in Colorado Springs, whether just driving past or spending some time there, do not miss a few hours in this unique spot on the planet, Garden of the Gods! It was opened to the public well over a century ago by then owner Charles Elliott Perkins, the head of the Burlington Railroad. 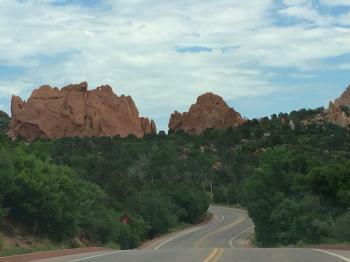 Shortly after his death his children turned the land over to the City of Colorado Springs in honor of his wishes. 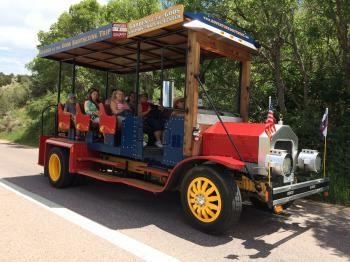 Since then, the whole area, over 1,300 acres have been extensively developed for public access to paved hiking paths, front range climbing, picnic areas and a whole range of other outdoor activities. Not to be missed is the Trading post located nearby as well! Many of the spaces here are not only wheelchair accessible but also located close to parking lots and restrooms available for public use. 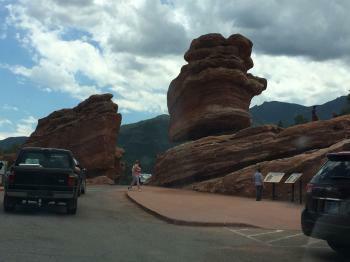 This whole place has grown into an award winning spot that is visited by as much as thousands of people a day! 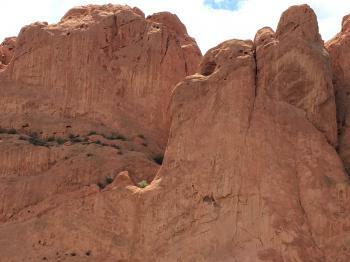 Even the U S Department of the Interior recognized this National Natural Landmark as a nationally significant natural area. With that many NATIONALs and NATURALs it would be impossi-bi-ble to argue against it! 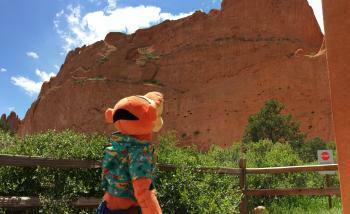 Tigger and his entourage were all speechless so many times by the vistas on all sides of this all natural preserve of towering red rock formations. Be sure not to mist the free Visitor and Nature center as well where Tigger explored the geology, plants, animals and even the people of this regional park, truly one of a kind. 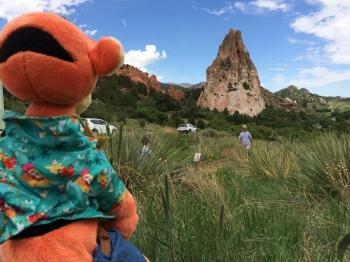 While you are there Tigger strongly recommends you learn more about the Theiophytalia kerri, a brand new dinosaur identified at the Garden of the Gods in 2008 from a fossil skull dug up in the late 1800s. Originally, it was identified as a Camptosaurus skull and sat in storage at the Peabody Museum in New Haven, Connecticut for one hundred and seventeen years. Finally, in 1997, a cast replica made its way back to the newly constructed visitors center by the Denver Museum of Nature & Science, the new owners of the skull. Then, about ten years later Dr. Ken Carpenter and his associate Kathleen Brill published a paper A Description of a New Ornithopod from the Lytle Member of the Purgatoire Formation (Lower Cretaceous) and a Reassessment of the Skull of Camptosaurus in which the correct identity was finally recognized 130 years later. 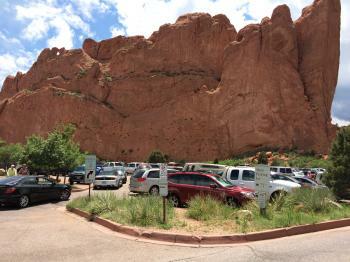 There is information on current Park Hours which vary by season, policies on dogs in the park, Rules on Rock climbing (and how to get a free and required rock climbing permit and much, much more on their web site. Also be sure to keep up with the Events Calendar on their web site.